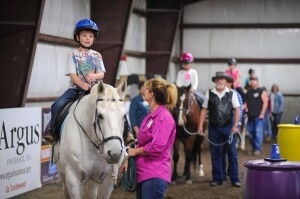 Therapeutic riding is conducted by a certified riding instructor in either a 30 minute semi-private (1-2 participants) or an hour lesson of 2 or more participants similar in either age or ability that focuses on increasing individual equine skills while gaining a variety of therapeutic benefits. 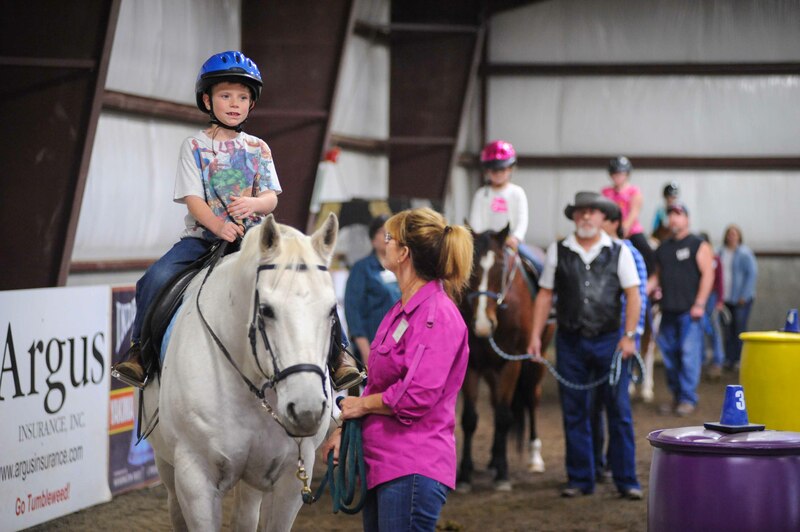 Benefits include such things as increasing muscle tone and strength, regaining the use of muscles, improving hand/eye coordination and balance, improving peer interactions and communication, increasing self-esteem and developing a sense of empowerment. Could you or someone you know benefit from this fun activity? Give us a call or email us today to find out more.